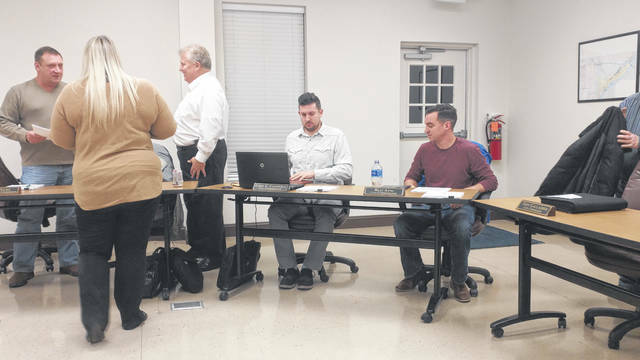 Gallipolis City Commission meets the first Tuesday of the month at 333 Third Avenue in the Gallipolis Municipal Building at 6 p.m.
GALLIPOLIS — Gallipolis City Commission held its first meeting of the month and discussed ongoing maintenance concerns and an upcoming hearing for the city budget, Tuesday evening. In the recreation department, for upcoming youth basketball, Gallipolis anticipates to have 116 home games, 507 practices and reportedly a pitch, hit and run event to be scheduled in April. Reportedly, an upcoming gas line project will be held on Third Avenue and a meeting with commissioners will address the issue. The commission is tentatively looking at a meeting Feb. 19 to consider the city budget for the 2019 fiscal year with a public hearing. City Clerk and Auditor Annette Landers said she felt this was the first time in several years where department requests did not drive a proposed budget into the “red” before cuts to those requested budgets were balanced by city administration. She said she felt this was due in part to the city in past years replacing aging equipment, and, therefore, capital expenses did not seem as high this year. Commissioners approved a motion and later rescinded it upon legal advisement in order to obtain more information about a liquor license transfer procedure regarding an area business.